Legally blind taxpayers may get relief on tools to enable them to work. 3. Are Hearing Aids a Deductible Income Tax Expense? Legal blindness is defined by the Internal Revenue Service as a visual field of less than 20 degrees or vision that cannot be corrected to 20/200 in the better eye with corrective lenses. Taxpayers who meet this criteria are able to claim additional tax deductions or may claim an additional personal deduction. When a legally blind person finds a job, she often requires tools to enable her to do her job. The IRS allows the cost of these tools to be deducted from tax returns. Allowable expenses must be necessary to be deducted on your taxes. A screen reader that magnifies the text on a computer screen is one example of a tool for which the cost would be deductible. Oftentimes people who are blind incur higher-than-usual costs for eye care, including surgical procedures, visits to specialists and eye medication. Medical expenses that are in excess of 7.5 percent of adjusted gross income are deductible, if the blind taxpayer itemizes deductions. For a blind person who makes $50,000 annually, medical expenses in excess of $3,750 are eligible to be deducted from their taxes. Braille reading material is also considered a medical expense for any amount that exceeds the cost of non-Braille reading material. Many taxpayers are not aware of the deductions the IRS allows for guide dogs. A legally blind taxpayer can deduct a variety of costs associated with a guide dog. These expenses include the purchase of the dog, food, veterinary visits, and training and grooming costs. All taxpayers are entitled to a standard reduction of their income through the standard deduction. In 2011, the standard deduction for single or married filing separately taxpayers was $5,800. For a taxpayer with visual impairment, in the same category, the standard deduction was $7,250. 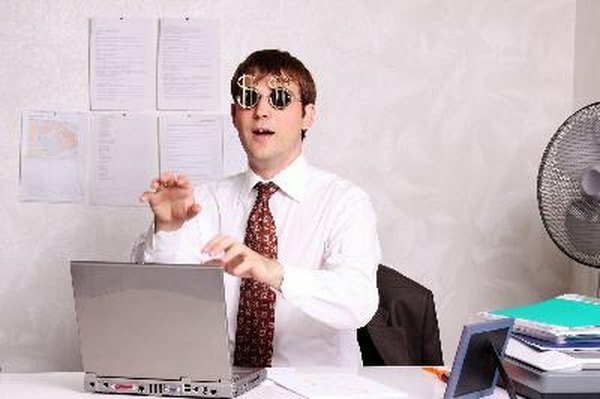 All taxpayers who are legally blind may claim this higher deduction whether or not they itemize deductions.